If the only time you hear the queen’s voice is when you are trying to stay awake following a plateful of turkey with all the trimmings and debating whether to have another glass of wine, then you are missing out in assuming that the Christmas message is the be all and end all. By listening to what she has to say as part of the Queen’s Speech instead, you are more likely to obtain information that is more useful to you as it can have an actual effect on your life. Despite it being delivered by the queen, the content of the Speech is actually provided by the government as the monarch is a mere figurehead. It is the traditional way for the de facto rulers of the country to set out the plans from their manifesto that they intend to implement. In the Speech delivered in June 2017, there were many points brought up about a range of matters, including one that highlighted the government’s determination to improve the UK’s environmentally friendly credentials. This was demonstrated by way of confirmation that the petrol stations and motorway service stations dotted around the country will need to install electric charging points for hybrid cars. As it stands, those that already have a plug-in hybrid electric vehicle (PHEV) may find it difficult to find a charging point easily, with it usually being necessary to plan a route by way of charging points before setting off on a journey. There may be some found in areas that are popular and subject to large volumes of traffic, but not readily available as there is no requirement for petrol stations or local authorities to provide them. This can make ownership of a PHEV a worrisome prospect for many drivers who will avoid the risk of not being able to charge the vehicle by opting for a standard fuel version instead – not good for the planet. Rather than just sticking with encouraging people to undertake green motoring practices with financial incentives, such as discounts or exemptions on the London Congestion Charge or car tax, there are ways in which driving a hybrid car can be made into a more attractive prospect. In order for the government to successfully be able to push the benefits of driving a hybrid, they need to make it easy to own one. The first step in this process is ensuring that these vehicles can be charged whenever necessary and that there are a sufficient number of charging points available for multiple cars at a time. At the moment, the government has to meet certain pollution levels to meet EU regulations and much of this pollution is created by the vehicles on the road. Requiring petrol stations to provide electric charging points can help make drivers more confident about buying a PHEV, which will help to reduce pollution levels. 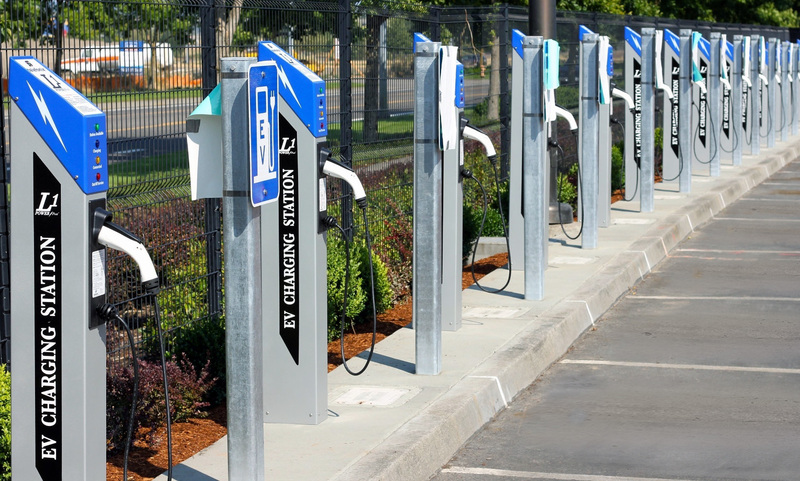 In the event that charging points become standard in petrol stations and motorway service station, they are more likely to implemented in other locations, such as dedicated parking areas in the same way that you would find a ticket machine.